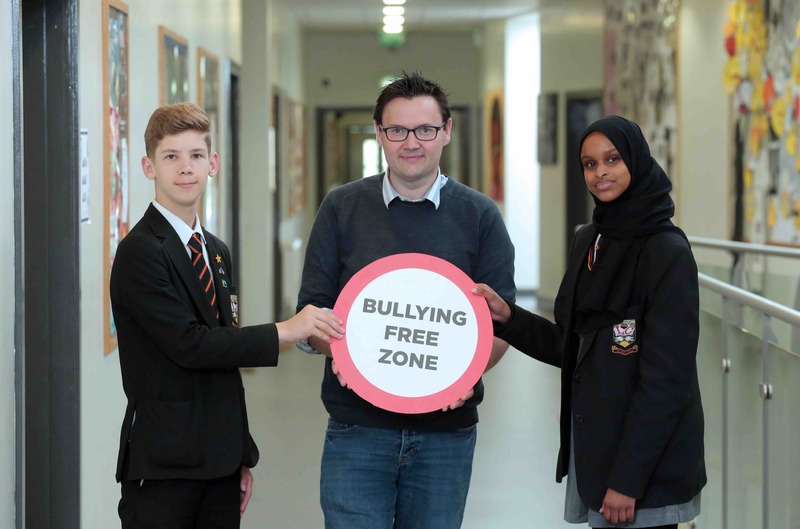 Schools and youth groups across Northern Ireland are taking part in this year’s Anti-Bullying Week, which runs from today, Monday 12 November 2018. Registered schools and organisations have already received their posters and access to the online teaching and learning resources. If you haven’t already registered, you can do so here, but please note that no further resources will be distributed until after ABW. For more information on the Wear Yellow 4 RESPECT activity, click here. 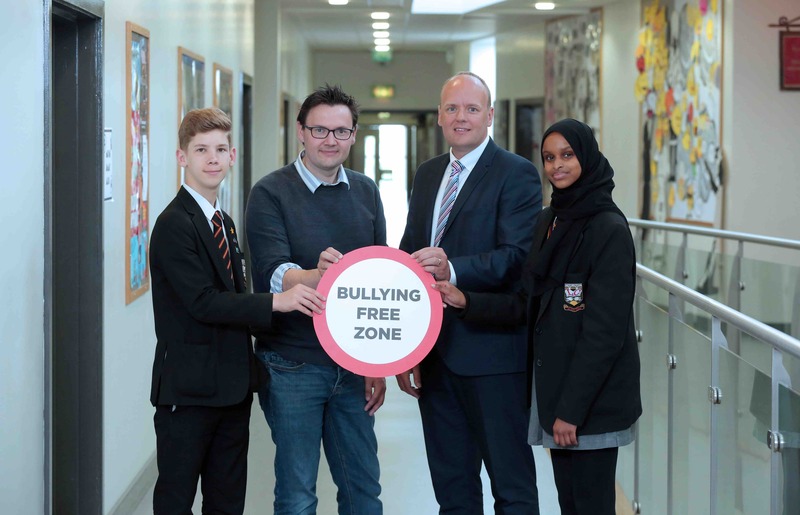 Lee Kane, Regional Anti-Bullying Coordinator, Northern Ireland Anti-Bullying Forum (NIABF) and John Thompson, Health and Safety Manager, Translink (sponsor) are pictured with (l-r) Riley Melin and Nawal Abdirahman from Lagan College, which is taking part in Anti-Bullying Week 2018. Back Row (l-r) Amanda McNamee, Principal, Lagan College; Maia McVeigh Aritura; Lee Kane, Regional Anti-Bullying Coordinator, Northern Ireland Anti-Bullying Forum (NIABF); Julia Stopka; John Thompson, Health and Safety Manager, Translink (sponsor); and Nawal Abdirahman. 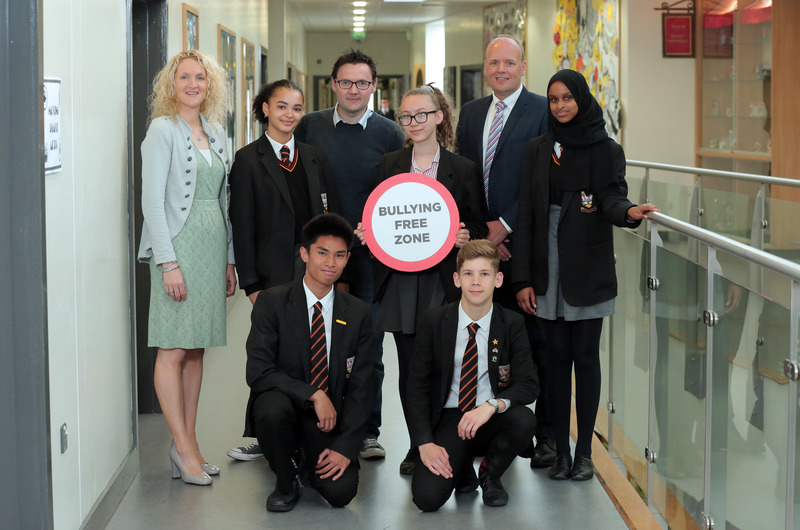 Front Row (l-r) Stephen Adrao and Riley Melin from Lagan College, which is taking part in Anti-Bullying Week 2018.